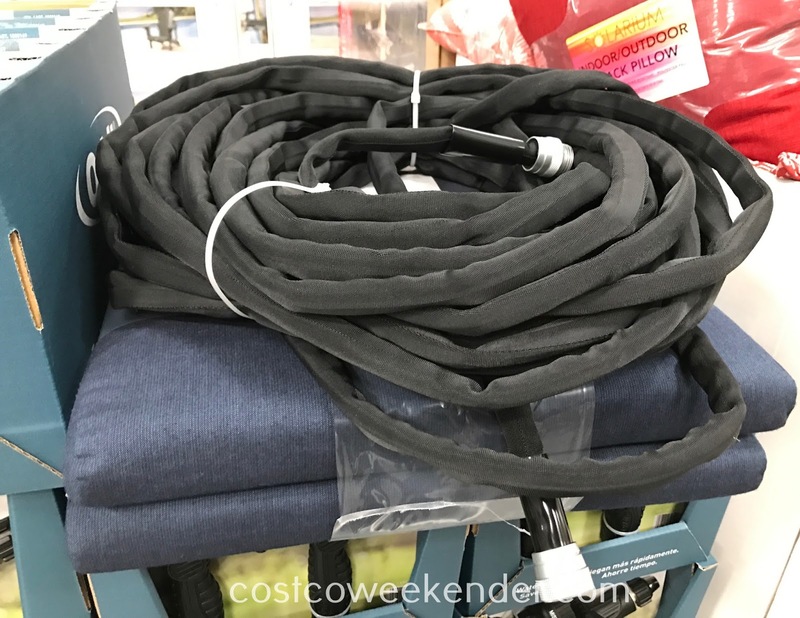 If your household has a garden hose, then you would know how unwieldy it can be when you just want to use it. It's a good thing Costco has the Teknor Rapid Flo Garden Hose. 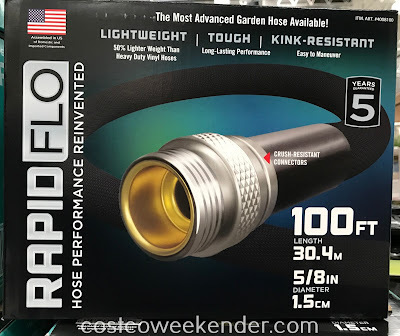 The Teknor Rapid Flo 100ft Compact Garden Hose is less likely to kink than conventional garden hoses. That way, you don't have to take time to stop whatever it is that you're doing just to straighten the hose to maintain good water pressure. 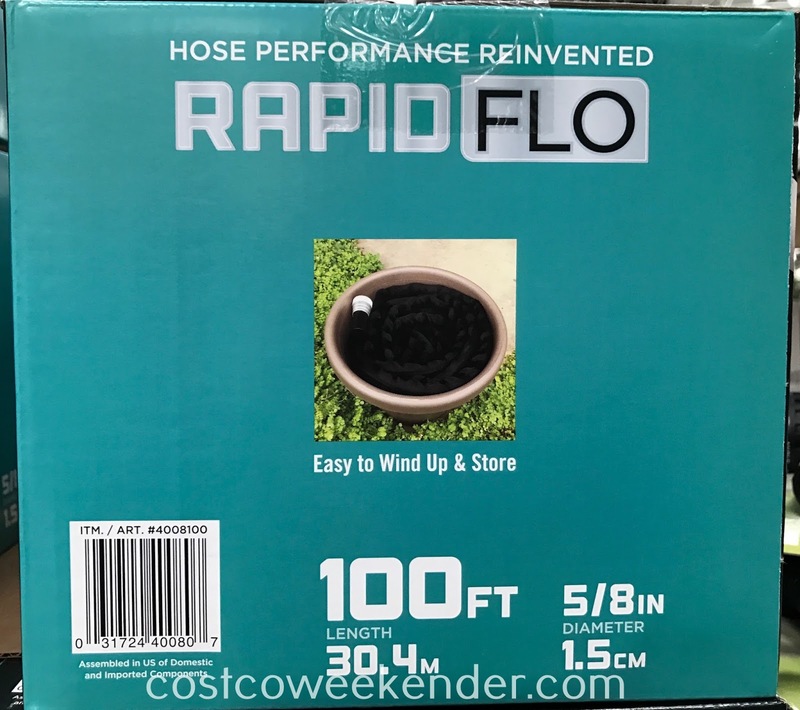 This comes in handy when you're washing your car or watering your backyard garden. 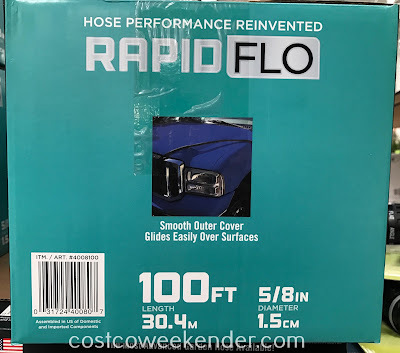 If your hose has incessant kinks, it'll take forever just to wash your car when you have to drag your hose to wash its backside. 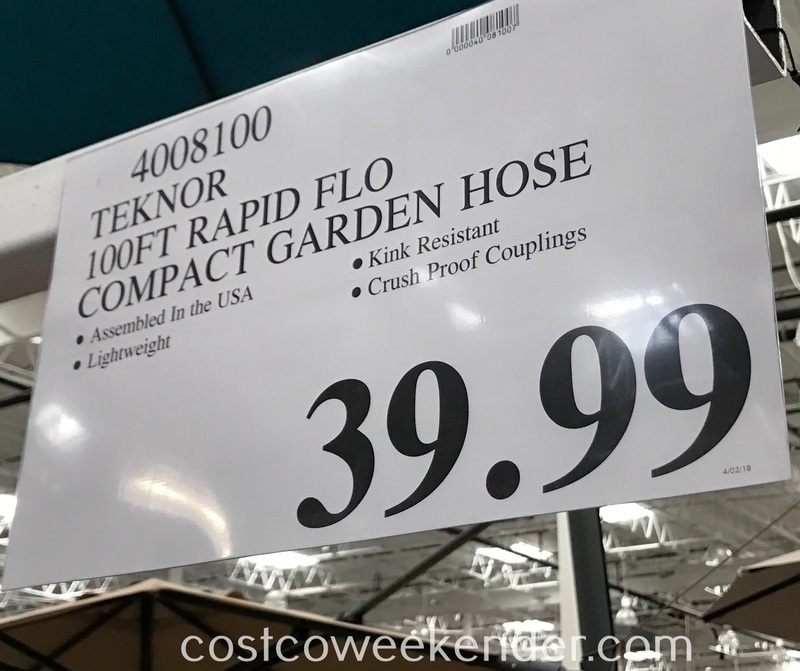 Not only that, but the Teknor Rapid Flo Garden Hose is easy to roll out and roll back in once you're done using it. Normal hoses can be heavy, but not this garden hose. 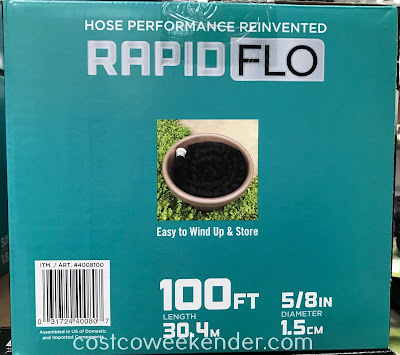 You won't regret getting the Teknor Rapid Flo 100ft Compact Garden Hose when you see how convenient it is versus most other garden hoses. 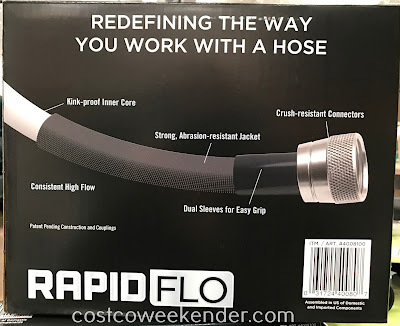 Teknor Rapid Flo Garden Hose: better than conventional hoses. Teknor Rapid Flo Garden Hose: Hose Performance Reinvented. 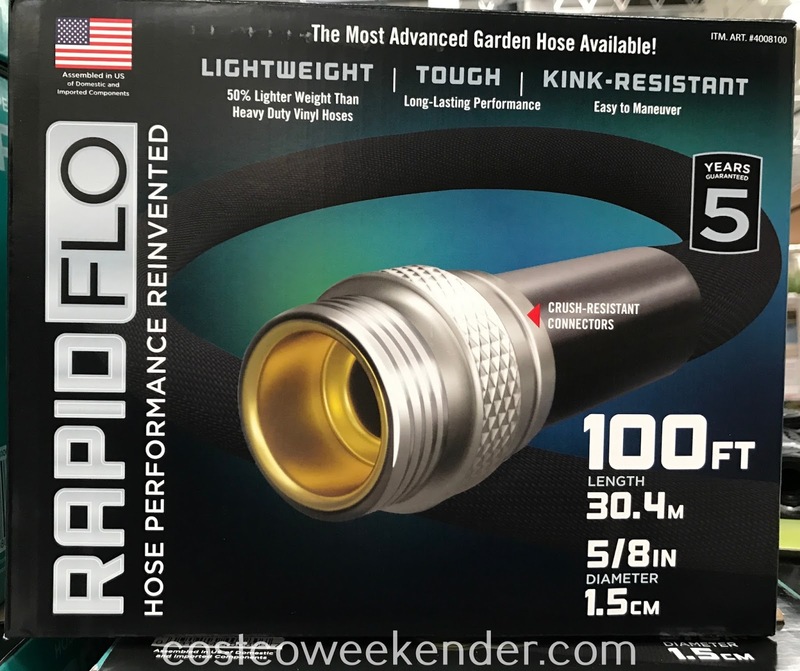 The Most Advanced Garden Hose Available!